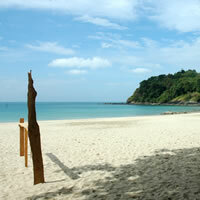 Klong Jark Beach or Waterfall Bay Beach, Koh or Ko Lanta island, Krabi. 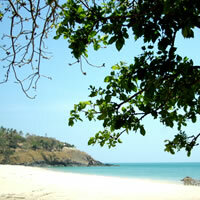 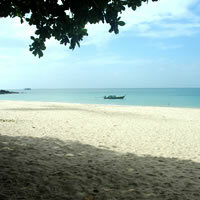 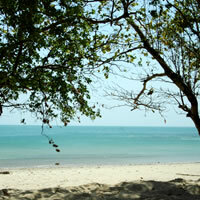 Beaches -Klong Jark or Waterfall Beach - Ko Lanta - Krabi - Thailand. 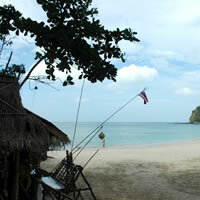 Klong Jark (or waterfall beach) is just 3 kilometers from the waterfall in the national park. 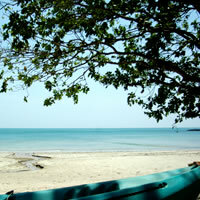 This is a fairly private beach due to access only by unpaved road. 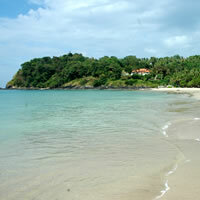 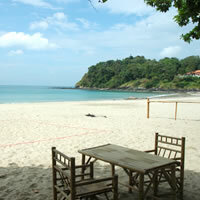 The beach gets its name from the waterfall, which is just a 3 kilometer walk away. 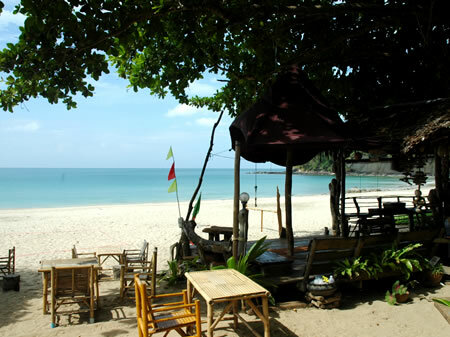 The trip, which follows a stream, features elephant trekking and sighting of a variety of birds and wild creatures, including the monkey wild pig.